Lend-Lease Aid - Soviet-Empire.com U.S.S.R.
You dont seem to know that Germans didnt know about T-34/76. In 1941 it was already too late to add sloped armor on Tiger, as it had already reached prototype stage. Source, Tiger Tanks by Michael Green. Ok even if it was to late for the Tiger tank (which i still don't think it was) what about the Tiger II tank? 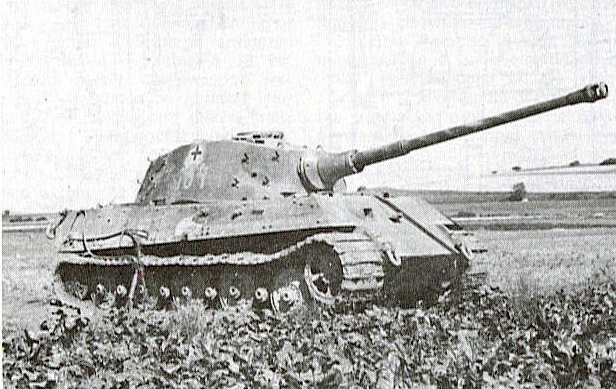 Tiger II had sloped armor. The picture I was looking at was of the Tiger I, sorry. But in further research I did not find anything about Tiger II having sloped armour. But in further research I did not find anything about Tiger II having sloped armour. Front and side plates were to be sloped and interlocked, resulting in a design similar to the then-new PzKpfw V Panther (Sd.Kfz.171). Cant you see the slope? The picture comes up as a red x (this is a crapy public computer). It must have been the site I was on. Notice the box like shape. Assuming that you know what sloped means, you should clearly see that Tiger II has sloped armor. Still I read somewhere that Hitler wanted nothing to do with Russian tech. Then you need to find more reliable sources. By the way, Soviets didnt discover sloped armor. Tiger could destroy T-34/76 and 85 from range where its maingun was ineffective agaisnt Tigers frontal armor. 76 - yes, 85 - no, Tiger could destroy T-34s from range of 1000m while T-34/85 could also penetrate frontal armour of Tiger from 1000m. When a tank is comming towards you (and you are moving yourself) it is very hard to hit the other tank (unless you stop). This is where the T-34s mobility gave it large advantage over Tiger. It didn't move in a straight line towards the enemy tank, but at angle and changed directions. Shermans were generally inferior to T-34-85s (especially the ones shipped through lend-lease). Some tankers of that time even joked, saying that it was safer to be outside a Sherman in battle....but there was a discussions about this in a different thread. Lend-lease helped, but by far not as much as some people here like to believe. The trucks also matter because in every war logistics are as important as tactics. What good is a Stalin tank without fuel or ammunition? It seems to me that if any one of the three main Allied powers, Britain, U.S.A. or U.S.S.R. had lost or even remained neutral then the war would have been lost. Lend-Lease remains a essential part of the war effort even if it was mostly Studebakers and Sherman tanks. Don't tell me you believe that the Allies 'supplied' the Soviet Union with 12,230 planes, 9214 tanks and 116 ships? They are obviously exagerated numberss, you would only need half a brain to work that out. With production levels such as these, the Soviet Union would not have needed to aquire such vast amounts of weaponry. I have tried looking for History of War - The Times. Can someone provide me with more details on the ISBN#, Publisher, Year and any other good resource (preferably unbiased) on the Soviet Military and Industrial production throughout the WWII?